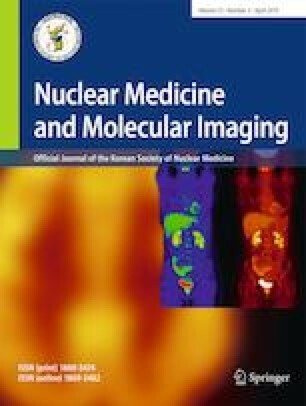 Single-photon emission computed tomography/computed tomography (SPECT/CT) is an already established nuclear imaging modality. Co-registration of functional information (SPECT) with anatomical images (CT) paved the way to the wider application of SPECT. Recent advancements in quantitative SPECT/CT have made it possible to incorporate quantitative parameters, such as standardized uptake value (SUV) or %injected dose (%ID), in gamma camera imaging. This is indeed a paradigm shift in gamma camera imaging from qualitative to quantitative evaluation. In fact, such quantitative approaches of nuclear imaging have only been accomplished for positron emission tomography (PET) technology. Attenuation correction, scatter correction, and resolution recovery are the three main features that enabled quantitative SPECT/CT. Further technical improvements are being achieved for partial-volume correction, motion correction, and dead-time correction. The reported clinical applications for quantitative SPECT/CT are mainly related to Tc-99m-labeled radiopharmaceuticals: Tc-99m diphosphonate for bone/joint diseases, Tc-99m pertechnetate for thyroid function, and Tc-99m diethylenetriaminepentaacetic acid for measurement of glomerular filtration rate. Dosimetry before trans-arterial radio-embolization is also a promising application for Tc-99m macro-aggregated albumin. In this review, clinical applications of Tc-99m quantitative SPECT/CT will be discussed. This work was supported in part by the Basic Science Research Program through the National Research Foundation of Korea funded by the Ministry of Education (2018R1D1A1A09081961) and by the Korean Society of Nuclear Medicine Clinical Trial Network (KSNM CTN) working group funded by the Korean Society of Nuclear Medicine (KSNM-CTN-2017-01-01). Won Woo Lee declares that there is no conflict of interest.